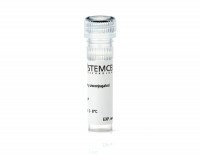 The MC-813-70 antibody reacts with stage-specific embryonic antigen-4 (SSEA-4), a glycolipid carbohydrate antigen expressed on the surface of human embryonal carcinoma (EC), embryonic germ (EG), undifferentiated embryonic stem (ES) and induced pluripotent stem (iPS) cells, a subset of mesenchymal stem cells, and rhesus monkey ES cell lines. No immunoreactivity is evident with undifferentiated mouse EC, EG, ES, and iPS cells. Expression of SSEA-4 is down-regulated following differentiation of human EC, ES, and iPS cells. In contrast, the differentiation of mouse EC, ES, or iPS cells may be accompanied by an increase in SSEA-4 expression. 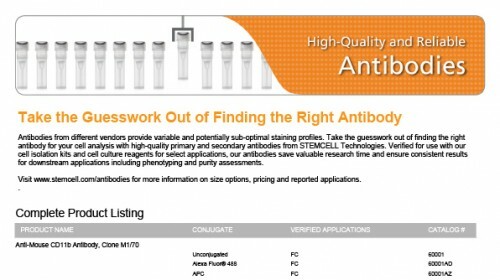 This antibody clone has been verified for labeling human ES and iPS cells grown in mTeSR™1 (Catalog #85850), and TeSR™2 (Catalog #05860), and has been verified for purity assessments of cells isolated with EasySep™ kits, including EasySep™ Human ES/iPS Cell TRA-1-60 Positive Selection Kit (Catalog #18166) and EasySep™ hESC/hiPSC SSEA-4 Positive Selection Kit (Catalog #18165; partial blocking may be observed). (A) Flow cytometry analysis of human ES cells (filled histogram) or HT1080 fibrosarcoma cells (negative control, dashed line histogram) labeled with Anti-Human SSEA-4 Antibody, Clone MC-813-70, Alexa Fluor® 488. Labeling of human ES cells with a mouse IgG3, kappa Alexa Fluor® 488 isotype control antibody is shown (solid line histogram). (B) Human ES cells were cultured in mTeSR™1 on BD Matrigel™-coated glass slides, then fixed and stained with Anti-Human SSEA-4 Antibody, Clone MC-813-70, Alexa Fluor® 488. Inset shows cells labeled with a mouse IgG3, kappa, Alexa Fluor® 488 isotype control antibody. 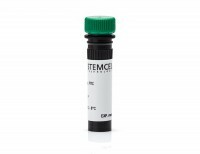 (C) Flow cytometry analysis of human iPS cells labeled with Anti-Human SSEA-4 Antibody, Clone MC-813-70, Alexa Fluor® 488 (filled histogram) or a mouse IgG3, kappa Alexa Fluor® 488 isotype control antibody (open histogram). (D) Human iPS cells were cultured in mTeSR™1 on BD Matrigel™-coated glass slides, then fixed and stained with Anti-Human SSEA-4 Antibody, Clone MC-813-70, Alexa Fluor® 488. Inset shows cells labeled with a mouse IgG3, kappa Alexa Fluor® 488 isotype control antibody. Flow cytometry analysis of human ES cells (filled histogram) or HT1080 fibrosarcoma cells (negative control, dashed line histogram) labeled with Anti-Human SSEA-4 Antibody, Clone MC-813-70, Biotin followed by streptavidin (SAV) APC (filled histogram). Labeling of human ES cells with a mouse IgG3, kappa biotin isotype control antibody followed by SAV APC is shown (solid line histogram). Flow cytometry analysis of human ES cells (filled histogram) or HT1080 fibrosarcoma cells (negative control, dashed line histogram) labeled with Anti- Human SSEA-4 Antibody, Clone MC-813-70, FITC (filled histogram). Labeling of human ES cells with a mouse IgG3, kappa FITC isotype control antibody is shown (solid line histogram). (A) Flow cytometry analysis of human ES cells (filled histogram) or HT1080 fibrosarcoma cells (negative control, dashed line histogram) labeled with Anti-Human SSEA-4 Antibody, Clone MC-813-70, PE. Labeling of human ES cells with a mouse IgG3, kappa PE isotype control antibody is shown (solid line histogram). (B) Human ES cells were cultured in mTeSR™1 on BD Matrigel™-coated glass slides, then fixed and stained with Anti-Human SSEA-4 Antibody, Clone MC-813-70, PE. Inset shows cells labeled with a mouse IgG3, kappa, PE isotype control antibody. (C) Flow cytometry analysis of human iPS cells labeled with Anti-Human SSEA-4 Antibody, Clone MC-813-70, PE (filled histogram) or a mouse IgG3, kappa PE isotype control antibody (open histogram). (A) Flow cytometry analysis of human ES cells (filled histogram) or HT1080 fibrosarcoma cells (negative control, dashed line histogram) labeled with Anti-Human SSEA-4 Antibody, Clone MC-813-70 followed by goat anti-mouse IgG, FITC. Labeling of human ES cells with a mouse IgG3, kappa isotype control antibody followed by goat anti-mouse IgG FITC is shown (solid line histogram). (B) Human ES cells were cultured in mTeSR™1 on BD Matrigel™-coated glass slides, then fixed and stained with Anti-Human SSEA-4 Antibody, Clone MC-813-70, followed by goat anti-mouse IgG, FITC. Inset shows cells labeled with a mouse IgG3, kappa isotype control antibody. (C) Flow cytometry analysis of human iPS cells labeled with Anti-Human SSEA-4 Antibody, Clone MC-813-70 followed by goat anti-mouse IgG FITC (filled histogram) or a mouse IgG3, kappa isotype control antibody followed by goat anti-mouse IgG FITC (open histogram). Intrinsic Immunity Shapes Viral Resistance of Stem Cells. Stem cells are highly resistant to viral infection compared to their differentiated progeny; however, the mechanism is mysterious. Here, we analyzed gene expression in mammalian stem cells and cells at various stages of differentiation. We find that, conserved across species, stem cells express a subset of genes previously classified as interferon (IFN) stimulated genes (ISGs) but that expression is intrinsic, as stem cells are refractory to interferon. This intrinsic ISG expression varies in a cell-type-specific manner, and many ISGs decrease upon differentiation, at which time cells become IFN responsive, allowing induction of a broad spectrum of ISGs by IFN signaling. Importantly, we show that intrinsically expressed ISGs protect stem cells against viral infection. We demonstrate the in vivo importance of intrinsic ISG expression for protecting stem cells and their differentiation potential during viral infection. These findings have intriguing implications for understanding stem cell biology and the evolution of pathogen resistance. Simple suspension culture system of human iPS cells maintaining their pluripotency for cardiac cell sheet engineering. 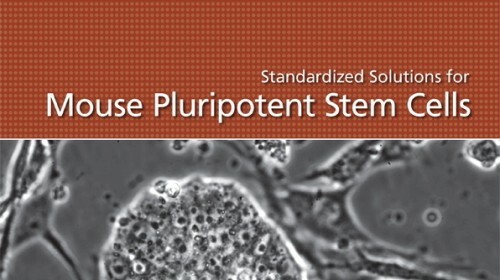 In this study, a simple three-dimensional (3D) suspension culture method for the expansion and cardiac differentiation of human induced pluripotent stem cells (hiPSCs) is reported. The culture methods were easily adapted from two-dimensional (2D) to 3D culture without any additional manipulations. When hiPSCs were directly applied to 3D culture from 2D in a single-cell suspension, only a few aggregated cells were observed. 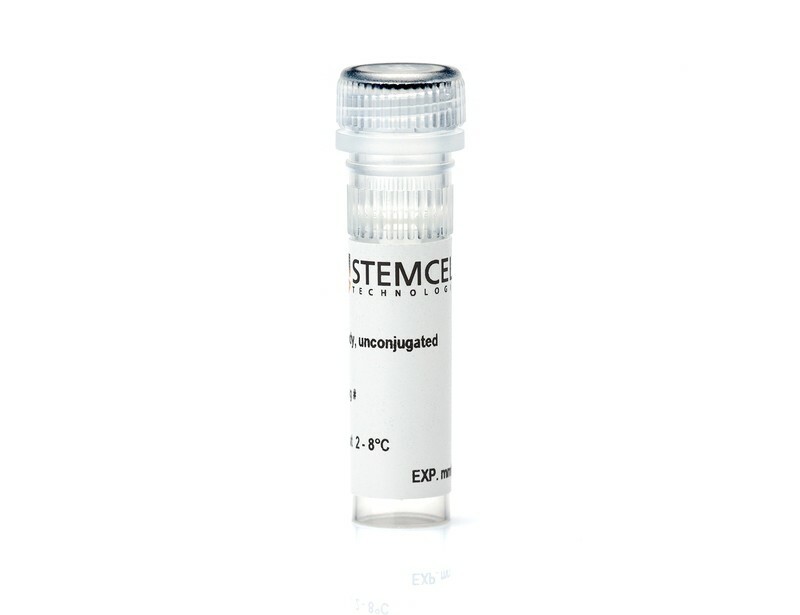 However, after 3 days, culture of the small hiPSC aggregates in a spinner flask at the optimal agitation rate created aggregates which were capable of cell passages from the single-cell suspension. Cell numbers increased to approximately 10-fold after 12 days of culture. 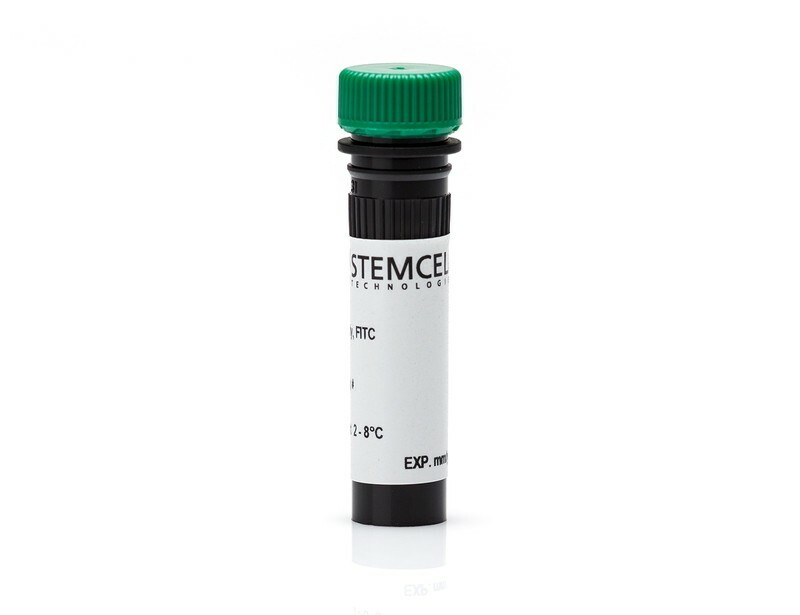 The undifferentiated state of expanded hiPSCs was confirmed by flow cytometry, immunocytochemistry and quantitative RT-PCR, and the hiPSCs differentiated into three germ layers. When the hiPSCs were subsequently cultured in a flask using cardiac differentiation medium, expression of cardiac cell-specific genes and beating cardiomyocytes were observed. Furthermore, the culture of hiPSCs on Matrigel-coated dishes with serum-free medium containing activin A, BMP4 and FGF-2 enabled it to generate robust spontaneous beating cardiomyocytes and these cells expressed several cardiac cell-related genes, including HCN4, MLC-2a and MLC-2v. This suggests that the expanded hiPSCs might maintain the potential to differentiate into several types of cardiomyocytes, including pacemakers. Moreover, when cardiac cell sheets were fabricated using differentiated cardiomyocytes, they beat spontaneously and synchronously, indicating electrically communicative tissue. This simple culture system might enable the generation of sufficient amounts of beating cardiomyocytes for use in cardiac regenerative medicine and tissue engineering. Human cell transformation is a key step for oncogenic development, which involves multiple pathways; however, the mechanism remains unclear. To test our hypothesis whether cell oncogenic transformation shares some mechanisms with the process of reprogramming non-stem cells to induced pluripotent stem cells (iPSC), we studied the relationship among the key factors for promoting or inhibiting iPSC in radiation-transformed human epithelial cell lines derived from different tissues (lung, breast and colon). We unexpectedly found that p63 and OCT4 were highly expressed (accompanied by low expressed p53 and miR-34a) in all transformed cell lines examined when compared with their non-transformed counterparts. We further elucidated the relationship of these factors: the 3p strand of miR-34a directly targeted OCT4 by binding to the 3′ untranslated region (3′-UTR) of OCT4 and, OCT4, in turn, stimulated p63 but inhibited p53 expression by binding to a specific region of the p63 or p53 promoter. Moreover, we revealed that the effects of OCT4 on promoting cell oncogenic transformation were by affecting p63 and p53. These results support that a positive loop exists in human cells: OCT4 upregulation as a consequence of inhibition of miR-34a, promotes p63 but suppresses p53 expression, which further stimulates OCT4 upregulation by downregulating miR-34a. This functional loop contributes significantly to cell transformation and, most likely, also to the iPSC process. Generation of human &dollar;\&dollar;-thalassemia induced pluripotent cell lines by reprogramming of bone marrow-derived mesenchymal stromal cells using modified mRNA. Synthetic modified mRNA molecules encoding pluripotency transcription factors have been used successfully in reprogramming human fibroblasts to induced pluripotent stem cells (iPSCs). 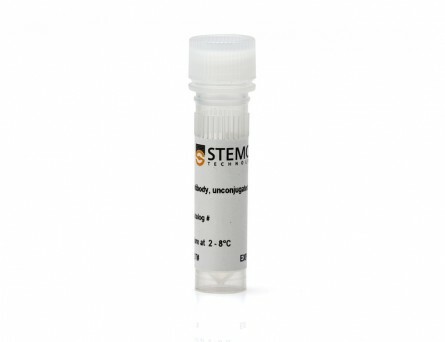 We have applied this method on bone marrow-derived mesenchymal stromal cells (BM-MSCs) obtained from a patient with &dollar;&dollar;-thalassemia (&dollar;&dollar;-thal) with the aim to generate trangene-free &dollar;&dollar;-thal-iPSCs. Transfection of 10(4) BM-MSCs by lipofection with mRNA encoding the reprogramming factors Oct4, Klf4, Sox2, cMyc, and Lin28 resulted in formation of five iPSC colonies, from which three were picked up and expanded in &dollar;&dollar;-thal-iPSC lines. After 10 serial passages in vitro, &dollar;&dollar;-thal-iPSCs maintain genetic stability as shown by array comparative genomic hybridization (aCGH) and are capable of forming embryoid bodies in vitro and teratomas in vivo. Their gene expression profile compared to human embryonic stem cells (ESCs) and BM-MSCs seems to be similar to that of ESCs, whereas it differs from the profile of the parental BM-MSCs. Differentiation cultures toward a hematopoietic lineage showed the generation of CD34(+) progenitors up to 10&percnt;, but with a decreased hematopoietic colony-forming capability. In conclusion, we report herein the generation of transgene-free &dollar;&dollar;-thal-iPSCs that could be widely used for disease modeling and gene therapy applications. Moreover, it was demonstrated that the mRNA-based reprogramming method, used mainly in fibroblasts, is also suitable for reprogramming of human BM-MSCs. CaMKII inhibition rectifies arrhythmic phenotype in a patient-specific model of catecholaminergic polymorphic ventricular tachycardia. Di Pasquale E et al. 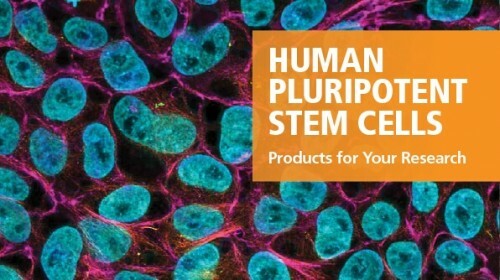 Induced pluripotent stem cells (iPSC) offer a unique opportunity for developmental studies, disease modeling and regenerative medicine approaches in humans. The aim of our study was to create an in vitro 'patient-specific cell-based system' that could facilitate the screening of new therapeutic molecules for the treatment of catecholaminergic polymorphic ventricular tachycardia (CPVT), an inherited form of fatal arrhythmia. Here, we report the development of a cardiac model of CPVT through the generation of iPSC from a CPVT patient carrying a heterozygous mutation in the cardiac ryanodine receptor gene (RyR2) and their subsequent differentiation into cardiomyocytes (CMs). Whole-cell patch-clamp and intracellular electrical recordings of spontaneously beating cells revealed the presence of delayed afterdepolarizations (DADs) in CPVT-CMs, both in resting conditions and after &dollar;\&dollar;-adrenergic stimulation, resembling the cardiac phenotype of the patients. Furthermore, treatment with KN-93 (2-[N-(2-hydroxyethyl)]-N-(4methoxybenzenesulfonyl)]amino-N-(4-chlorocinnamyl)-N-methylbenzylamine), an antiarrhythmic drug that inhibits Ca(2+)/calmodulin-dependent serine-threonine protein kinase II (CaMKII), drastically reduced the presence of DADs in CVPT-CMs, rescuing the arrhythmic phenotype induced by catecholaminergic stress. In addition, intracellular calcium transient measurements on 3D beating clusters by fast resolution optical mapping showed that CPVT clusters developed multiple calcium transients, whereas in the wild-type clusters, only single initiations were detected. Such instability is aggravated in the presence of isoproterenol and is attenuated by KN-93. As seen in our RyR2 knock-in CPVT mice, the antiarrhythmic effect of KN-93 is confirmed in these human iPSC-derived cardiac cells, supporting the role of this in vitro system for drug screening and optimization of clinical treatment strategies.